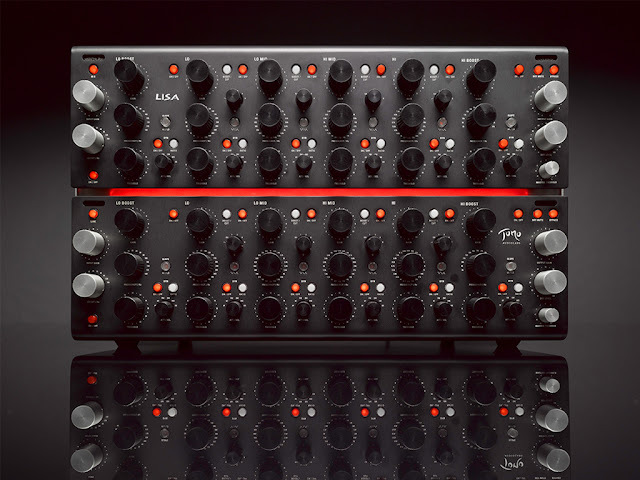 TOMO Audiolabs Lisa is a stereo 6 band Eq with dynamics processing on each band. With two shelf bands and four parametric bands - (two parametric bands can additionally be switched over to shelf), as well as low-cut and a M/S matrix, the parallel-structured compression EQ offers unlimited flexibility. 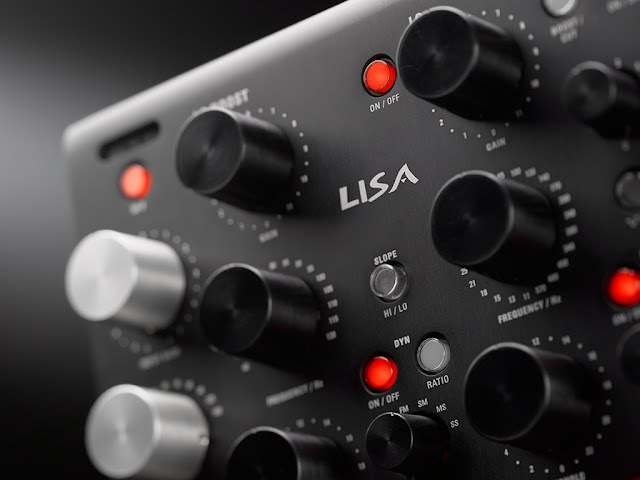 The LISA is a mixing and mastering engineer's dream come through. The most unique feature of the LISA is that the processing is done in parallel. "The signal is then split into six parallel channels that feed the six independent equalizer bands. After each signal is processed independently, all six channels are then summed up and amplified. The output stage is also transformer coupled and gives the user the ability to mix the processed signal with the unprocessed or dry signal. Our parallel topology allows parallel processing (two bands at nearly the same frequency) without the issues of interacting frequency curves. This keeps the processed signal very transparent, consistent and controllable. The results stay predictable, helping you to work very quickly and with an experienced touch. Traditionally designed dynamic equalizers utilize a dynamic processor that is arranged before or after the filter circuit. Part of what makes the design of LISA’s dynamic processor so unique is that it is built into the filter circuit. This allows the user to listen to only the processed signal without any of the dry signal." can optionally be used as shelving or bell filters. • Dynamic processing is a component of the filter. dynamic processing is integrated in the filter. Get more info and a detailed video demo at TOMO Audiolabs. Waves is currently running a special on their Restoration plugins. I've used them on mixes to fix problematic tracks (noise, hum, clicks and pops). Great for archiving old vinyl and analog tapes. For a limited time only, save big on Waves noise reduction plugins. Waves Restoration plugins are all you need to remove noise, revive damaged recordings, fix deteriorating film and television soundtracks, and protect archival and field recordings. The AC Sound CLX-VU is a dual channel compressor based on the DBX 160VU. It has all the vibe of the original, but with increased signal fidelity and a lower noise floor. 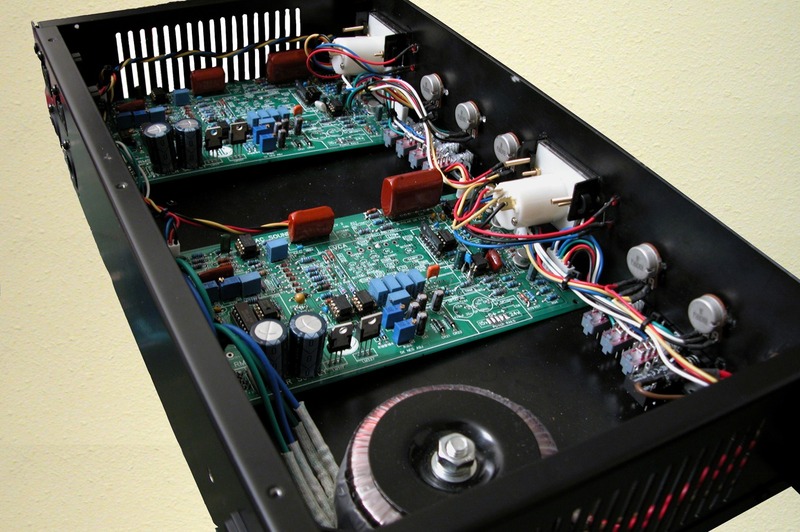 For many engineers the CLX-VU is their go to compressors for Kick/Snare, Vocals and Bass. It is a Dual Mono/Stereo unit completely calibrated with your choice of XLR or TRS I/O, 120V or 240V operation, Meter graphics and Black face or Silver face knobs. These units are hand-crafted in the USA to your specifications so there is a short wait time (usually less than 10 days) while your unit is assembled and carefully calibrated.